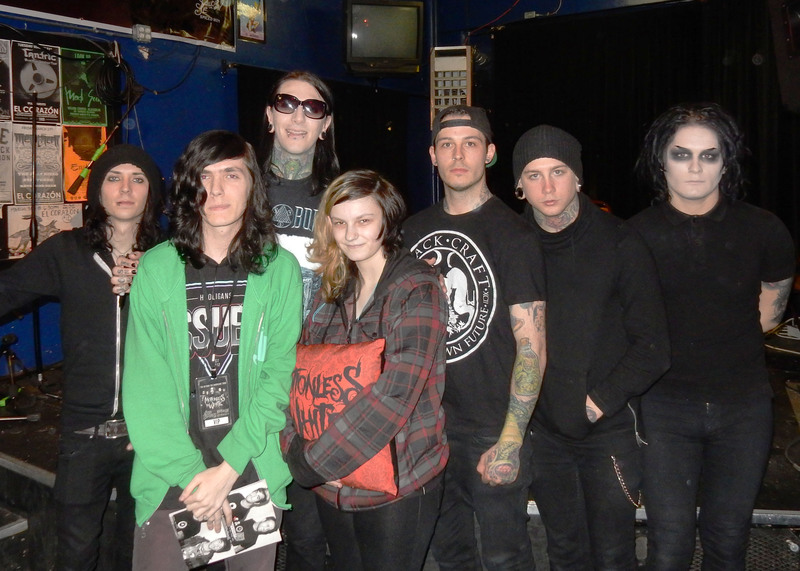 Well, another VIP, this time a meet and greet, Q&A and soundcheck with Motionless in White. What a great group of guys. Chris has such a great personality and way of communicating with the fans. The soundcheck was very cool watching the guys jamming to portions of many great songs… what a treat! At the show we also saw ICE NINE KILLS and New Years Day, who we have seen before and just love. The only problem with this show was that the venue was just way too small and way over sold. We scored a great spot on the upper level riser away from the front of the stage, but along a railing, but the problem was we were pushed against the rail by all the jammed in people that it was just as crowded as being at the stage rail with the exception of the mosh…it was just too much for us and we had to leave before Motionless actually came on stage…At least we were able to meet and talk with them, and we have seen them perform a bunch of times before…we knew what we were missing, but could not deal with the crowd.